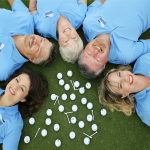 Your Golf Course Business Mentor – If you're a golf course manager, operator or pro, you want to grab Allison's information to help drive more golfers to your course today! In 2008, the economy took a huge nose dive. To make matters worse, the main road to my family’s golf course was closed with a 20 minute detour. If you’re ever curious about how to lose money at lightning speed, talk to me about that glorious year. When the road finally opened (just in time for winter, of course), I knew that there was no way that I could possibly save the golf course simply by cutting costs. I was going to have to market the course back into recovery. That’s when I began going to the Marketing School of Hard Knocks. Let me tell you. That is a degree that I’m more proud of than any others I’ve received. In my first year of designing a marketing plan, I started small. Three live concerts, a junior and women lesson program, plus a big promotion for Memorial Day. I spent time writing emails, designing flyers, writing TV commercial scripts, and passing out calendars to my golfers for these promotions. It was successful. The following year, I added a few more. I included a Christmas in July promotion and we celebrated Labor Day weekend in style. It worked well, so I added a few more the following year. Eventually, I had gotten our promotional calendar busy enough that I was no longer very efficient. I had trouble keeping up with the number of emails I needed to write, flyers I needed to create and my computer desktop was a mess of folders and files that had zero sense of organization. After five years of adding more and more promotions and marketing prowess to my golf course, I became overwhelmed. The programs and promotions were working, but I was tearing out my hair with overwhelm of how could I possibly keep this up? I had staff members and family who could see I was overwhelmed and wanted to help me, but I didn’t have the foggiest idea how to tell them to begin. The only thing I really needed to get it all done was a few extra hours in the day. In the fall of 2014, I listened to a podcaster who was explaining how she planned out her year. I was immediately fascinated by the systems that she had put into place and how she was able to delegate tasks to her team to help prevent overwhelm. I was hooked. I studied her and listened to that podcast about ten times until I thought I could take a stab at creating a marketing plan that would be sustainable from one year to the next. If you have followed with me for long, you know that I have a major love affair going on with Google and its spreadsheets. I think they’re magical. I decided to create a spreadsheet to help keep my marketing calendar organized. It first looked like a calendar and then slowly transformed over the years into so much more. The off season was spent, loading in all of the events and promotions that were scheduled at my family’s golf course. When I was done, I begin adding links to documents containing emails that I had stored in my Google Drive. This process helped me to eliminate the computer desktop overwhelm because I no longer had to hunt down the email that was written to promote my junior lesson program. It was directly linked within my spreadsheet! The spreadsheet also worked as a visual aid for my golf course’s long term goals. Slow times and what was planned to help them was clearly visible in black & white. I can take utilization reports from my POS and create promotions to encourage play during slow times. I linked to all of my events to their calendar page on my website. This helps me to quickly update the events from one year to the next. In December, I click on each link and update the pricing and dates of what I plan to do in the following year. Over the years, I began adding more to my sustainable marketing program like Facebook posts, App Push notifications, Instagram stories and more. Each year, I look at my marketing calendar and decide how I might make it even better in the coming year. Because the spreadsheet is an accumulation of my entire year, I can quickly add more to my overall marketing strategy. I can track promotions and how successful they were in my business. If they weren’t as successful as I thought they should be, then I can include additional marketing materials to help promote. Sometimes those promotions just needed to be dropped because they were a flop and no amount of marketing would make them be a success. Yes. Sometimes you just simply have ideas that crash and burn. Two years ago, my nephew went to play rugby in New Zealand. He was having trouble getting a Work VISA. One day, he asked me if it would be possible for him to continue to work at the golf course even though he’d be living on the other side of the world. Because of the power of Google and its spreadsheets, I can share my work with anyone. Including my nephew on the other side of the world. He and I began working together using my Marketing Spreadsheet and I discovered something amazing. Not only had my spreadsheet helped me to get better organized at finding the marketing materials in one place, but it also allowed me to easily assign tasks to helping hands. Since I keep my FB posts, App notifications and emails in my Marketing Spreadsheet, I am able to easily assign tasks to my staff. Rainy day? No problem. I can easily show my staff how to help. Suddenly all of my App Push notifications are scheduled and it makes me hate the fifth rainy day in a row a little less. Before my Marketing Spreadsheet, I never knew how to easily tell someone to help me when they offered. In case you’re wondering, yes, my nephew did help me from the other side of the world. I also continue to use my college staff after they return to school in the fall by allowing them to work from my marketing spreadsheet. It’s a giant weight of overwhelm was lifted from my shoulders. Over the years, I have met many golf operators who ask me how I’m able to be as productive as I am. My answer to them is always my Marketing Spreadsheet. Good news! I’m sharing it with you to use for yourself. That’s right. We’re talking years of work that I’m passing right along to you because I think you’re awesome. Here’s a worksheet that you can download which explains all of the aspects of my spreadsheet. In case you haven’t grabbed it yet, here’s my Marketing Spreadsheet. In February, I’ll be teaching a class on how you to use this system at your own golf course at the Golf Business Conference. There’s still time to sign up! Just start easy like I did with a few promotions. Over time, you’ll be able to easily add more promotions and events to your course’s calendar. Before long, you’ll no longer need to adjust your budget by making cuts in your departments. A marketing calendar allows you to GROW your business. I’m in full planning mode for the upcoming year. How about you? When I first started spending a decent amount of time to plan out my season, it was very complicated and cumbersome process. There were many moving parts, content, marketing, emails and strategies put into place to help me accomplish my revenue goals. I was learning as I went, so I wasn’t very efficient. What happens when you go to six golf conferences. . .
I’ve been on a speaking tour for golf conferences this last month. I’ve really enjoyed it because I have gotten to know many people who have provided me with lots of different ideas that I can implement at my golf course. Many of them are very simple changes that will make a huge difference. Since it’s the start of a new year and you might be making plans for change, I thought I’d share my top five favorite ideas with you that you might be able to implement at your own course. Have you ever wondered why the growth of golf is stagnant? I’ve sat through countless presentations that make a good case for why the game of golf isn’t growing. It takes too long. It’s too difficult. It’s positioned as an elitist sport. It’s too expensive. I’ve even attended a seminar where they blamed the lack of growth in the game on the fact that minorities don’t enjoy the sport. They make a good case, but when you truly think about it. They’re just a bunch of excuses for a poor marketing effort by the entire golf industry. People sit in stands for more than four hours watching a sport. They binge watch on Netflix for more than four hours. Heck, they even wait in line at Top Golf for more than an hour to get a stall. There are many things that people buy that are expensive, but they don’t gripe about it, like a good mattress, a high end car, good running shoes, quality dress pants. Not to mention, have you looked at the price of refrigerators lately? They walk in with certain expectations which are then met – whether it be related to price or service. Why is golf struggling then? Follow These Steps to Success! If you aren’t taking advantage of the holiday season, then you must not like making easy money. Golf courses are notorious for their lack of marketing skills. That’s what makes marketing for the holiday season so easy for a golf course. The media does the marketing for you. Everyone knows about Black Friday and Cyber Monday. The public just needs to be told that you’re participating. You can be pretty successful with very little effort or marketing know how. This is a huge gift (pun intended) to golf course operators. Basically, you just have to deliver something that is worthy of gift giving and you’ll be profitable. The best part about a holiday promotion is that the mentality to spend money in our customers is already created for you. Your golfers and more importantly, your golfer’s loved ones, are programmed to spend money on these two days. You just have to do SOMETHING! Call clubhouse. Sign up child/self for lesson program. Get email when to show up for lesson. Instructor gives group coaching information, then walks down the line up of golfers to correct swings. Is it any wonder that people are constantly leaving the game? Beginning golfers are like little robots on an assembly line of instruction. Position your thumb here. Tuck in your elbow there. Put your weight on this foot. Bee Bop Boo Bop. Have you ever thought about the experience of your customer? Do you build up their anticipation before the lesson even begins? What about after it’s over? How is your follow through when their lesson is complete? Are they still on your radar, or have they become one of the many forgotten golfers? I was young and naive. Before I knew it, I had been talked into the wonders of direct mail marketing and decided that printing 2,500 magnets would be a much better buy, so why not buy them? Then, I was introduced to the wonder of purchasing physical addresses based on location and interests. I didn’t know this even existed! What will they think of next? I could buy 2500 addresses for only $50. Who cares that it costs thousands to send the stupid calendar, right? Before I knew it, I was spending a significant amount of money on a beautiful magnet that I was sending out to the general public within a certain radius of my course. My naive self thought I’d be rolling in the cash with all my great promotions that everyone was going to be banging down my door to attend. Crickets. That’s what I got. When I think about it, I’d like to take my 26 year old self and sucker punch me right square between the eyes. Then, I’d like to have all of that money back, so I could pay for my son’s college bills of today. It’s kind of like when you stop smoking and you think about all of the thousands of dollars you wasted because you made a bad choice when you were young. There’s nothing quite like the school of hard knocks. My family has been so amazing at allowing me to experiment and stretch myself. See what works and what doesn’t. Yes. The magnetic calendar was a one and done idea. Thankfully, they never talk about it or hold it over my head. Sadly, that wasn’t the last time I was talked into a good deal. Do you struggle with your To Do List? Try creating Theme Days where you only work on those tasks for specific days of the week. For example: Marketing Mondays, Team Meeting Tuesdays, etc. Batch the tasks that you have that are similar and put them on the correct Theme Day. Trust me. It’s life changing! I get it. Boy do I get it. How in the world do you make yourself unique in a sea of other golf courses? My golf course is located in central Iowa surrounded by a mere 30 other courses. Yikes. That’s tough. Let me tell you a little secret. I don’t view any of them as competition because I mind my own business. What makes my golf course unique? When I first took over my family’s golf business in 2004. I struggled with many things. Not the least of which was the silly name my family had selected for my family’s course. I was young and ambitious. The first thing we did was change our logo. We made it look more “golf like.” There. Better. I thought. Then, we added cherry wood to our Golf Shop. We remodeled to make our clubhouse look like a private club. After all, isn’t it written somewhere that golf course clubhouses be surrounded in dark wood with men in smoking jackets and pool tables in the locker rooms? That’s what a real golf course looks like, right? Let’s face it, there are many different types of golfers out there. Some golfers are avid with low scores and enjoy a challenge. Then, there are some who enjoy the game, but have never really mastered it. I’ve been working at my family’s golf course since I was eleven. I can remember waiting on golfers at the snack bar for years, assuming they were good golfers. When I was eighteen, I began mowing the fairways and tee-boxes. Imagine my surprise when it turned out that these golfers who played nearly daily for the last seven years of my life turned out to be HORRIBLE golfers! Step away from your desk and take a look at your golfers. Get to know them and their skill level! You need to really dial in the type of golfer your course attracts. Without this information, you’re wasting valuable time and money in your marketing. 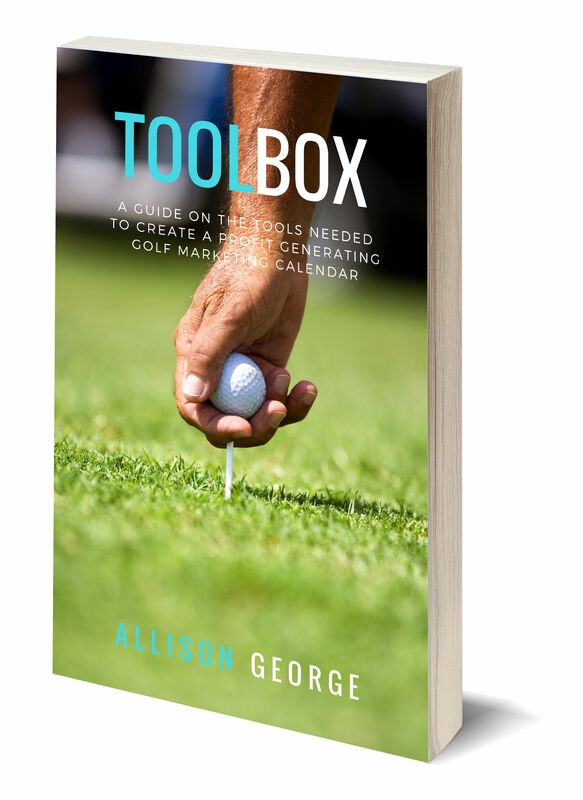 Sign up for blog updates and get a FREE copy of my Guide full of all the tools I use to create my Golf Marketing Calendar and stay Organized in my business. Privacy Guarantee: We'll never share your email address with others. I am Allison George the Wizard of Fun at my family owned golf course. In 2015, Golf, Inc. Magazine voted me 8th most innovative person in the golf industry. What?? Since then, I try to work that little accomplishment into daily conversations with my brother, but it also got me thinking. It is time for me to share my methods with other managers, operators and leaders in the golf world. Picture this website like People Magazine where I am about to tell all! This is where I tell you how to maximize your course using lots of easy methods to help show people that golf is the greatest sport in life and the world!